What Shall We Pay Attention to Cisco 4G-LTE 2.0: Wireless WAN Cards for ISRs? In this article we will list many questions and tips helping you know the Cisco 4G-LTE technology well. We know that 4G-LTE is not supported on the first-generation ISRs. 4G-LTE is supported only on second-generation ISRs (Cisco 1900, 2900, and 3900 Series ISRs) and later platforms, such as the and Cisco 4000 (4300 and 4400) Series ISRs. It is not supported on the first-generation ISR routers such as the Cisco 1800, 2800, and 3800 Series or earlier. Built-in connections, however, are available on non-modular (‘fixed”) 819, 880, and 890 series ISRs. The 4G-LTE solution is a multimode LTE device. It supports various LTE, 3G, and 2G mode frequency combinations depending on the specific SKU. For exact details per SKU, please refer to Table 1 in the data sheet at https://www.cisco.com/c/en/us/products/collateral/interfaces-modules/4g-lte-wireless-wan-enhanced-high-speed-wan-interface-card/datasheet_c78-732559.html. What antennas and accessories do I need for 4G-LTE to work? By default, 4G-LTE NIMs, EHWICs, and routers ship with two dipole antennas and one 10-foot extender. Depending on your placement of the router, an extended antenna and cable may be required for optimal cellular signal reception. Cisco offers three additional types: ceiling mount, panel mount, and omnidirectional outdoor antennas with a coaxial cable up to 75 feet in length. Exact SKU and ordering details are listed at https://www.cisco.com/en/US/prod/collateral/modules/ps5949/ps7272/datasheet_c78-710314.html. Does the Cisco 4G-LTE solution work on older networks such as 3G and 2G services? As a multimode solution, Cisco 4G-LTE interfaces can fall back to 3G or 2G networks as per availability and coverage of your service provider. On the Verizon network, for example, Cisco 4G-LTE can fall back to 1x Evolution-Data Optimized (EVDO) and 2G (1xRTT) networks. Similarly, on AT&T and global networks, it can fall back from 4G-LTE to Universal Mobile Telecommunications Service (UMTS) networks. Cisco 4G LTE WWAN NIMs and EHWICs support 2 x 2 multiple-input, multiple-output (MIMO) antennas. Cisco 4G LTE NIMs and EHWICs ship with two 4G, 3G, and 2G multiband swivel-mount dipole antennas and two extended low-loss RF cables. Technically, only one antenna will transmit or receive at any point in time, but using both antennas and cables will ensure the most optimal use by taking advantage of MIMO and multipath diversity. With this setup you get a higher quality signal, which helps improve your throughput. Note: The MIMO and multipath diversity improve with distance between the two antennas. Please use the 10-foot cable extenders provided to place antennas as far apart as possible to achieve better radio conditions. What are Cisco 4G LTE performance and latency? Cisco 4G LTE 2.0 NIMs and EHWICs support LTE Category 3 (LTE CAT3) with peak uplink and downlink speeds of 50 and 100 Mbps, respectively, on the 10- and 20-MHz channels. Round-trip time (RTT) on the LTE is less than 50 ms. Compared to 3G, the bandwidth is 20 times more and the latency is 5 times less. Note: These performance numbers are theoretical limits and may not be seen in production networks; contact your preferred wireless carrier for expected performance rates. The guide for installing NIMs on the ISR 4000 Series router is available at https://www.cisco.com/c/en/us/products/collateral/routers/4000-series-integrated-services-routers-isr/datasheet-C78-734341.html. The ISR G2 installation can be found at https://www.cisco.com/en/US/docs/routers/access/interfaces/ic/hardware/installation/guide/EHWIC-4G-LTEHW.html. How do I connect to 4G-LTE networks? As with any cellular network, you need an active subscription from a service provider. When you subscribe to a 4G-LTE service, you will be given an active subscriber identity module (SIM) card to install in your ISR. The hardware installation guide explains how to insert the SIM card in the 4G-LTE NIMs, EHWIC, or fixed ISR. After you install the active SIM card, you need to follow the software configuration guide to set up the router to make a data call to 4G-LTE networks and get an IP address. After that, it’s the same as routing over any other WAN interface. Do the Cisco 4G LTE WWAN NIM, EHWIC, or fixed ISRs ship preloaded with SIM cards? No. You must obtain the SIM card from a supported wireless carrier, and the card must be associated with an appropriate rate plan. Do you support dual SIM cards? We support dual SIM cards only on the Cisco ISR 819 platforms where two cellular service providers are supported by the same 4G-LTE modem. The Cisco 819 platform has one cellular modem and two SIM cardslots. 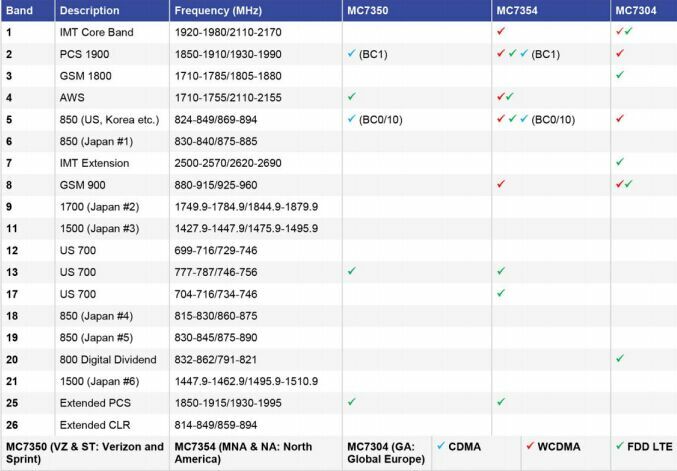 In the United States, Verizon, Sprint, and AT&T have dedicated specific SKUs for the modem to work on their networks. Thus, the Cisco 819 on the AT&T network cannot work on the Verizon or Sprint network and vice versa. The dual-SIM feature is not supported on a Verizon or AT&T SKU. The modular ISRs can have multiple NIMs or EHWICs, providing more flexibility than the dual SIM-based solution, so dual SIM is not supported on the NIM and EHWIC form factors. Can I use the SIM card from my personal digital assistant (PDA), tablet, or smartphone in the Cisco 4G-LTE WWAN NIM, EHWIC, or fixed ISR? No. Typically service providers have different data plans for different devices. Check with your service provider for the appropriate data plans for your usage. How do I configure the 4G-LTE on a Cisco ISR? The 4G-LTE software installation guide explains how to configure the 4G-LTE interface on a Cisco ISR G2 and fixed ISRs. You can find the guide at https://www.cisco.com/en/US/docs/routers/access/interfaces/software/feature/guide/EHWIC-4G-LTESW.html. The NIM configuration for ISR 4000 routers is provided at https://www.cisco.com/en/US/docs/routers/access/interfaces/software/feature/guide/NIM-4G-LTESW.html. Is time-division duplexing LTE (TD-LTE) supported on the Cisco 4G-LTE solution? Current Cisco offerings work only in frequency-division duplexing LTE (FD-LTE) mode on supported frequencies. TD-LTE will be supported in future products. Does the Cisco Dynamic Multipoint VPN (DMPVN) feature of Cisco Intelligent WAN (IWAN) support 3G/4G/LTE interfaces? Yes, using DMVPN, IWAN allows easy multi-homing over any wired or wireless broadband carrier service offering. Can I use IP Security (IPsec) with the Cisco 4G LTE WWAN modules and cards? Yes. All security features of the Cisco ISR routers are supported on the Cisco 4G WWAN NIMs and EHWICs: Site-to-Site IPsec Tunnel, DMVPN, Group Encrypted Transport VPN (GET VPN), and Generic Routing Encapsulation (GRE) tunnels. An appropriate security license must be installed in Cisco IOS Software for the ISR G2 modular platforms. Can I use dynamic routing protocols over the 4G-LTE? Yes. Border Gateway Protocol (BGP) is supported over 4G-LTE because it’s a TCP-based protocol and can form adjacency with a routed Layer 3 neighbor. Other dynamic routing protocols (OSPF, EIGRP, and RIP) are supported over the 4G-LTE using a GRE tunnel. This is because Cisco 4G-LTE WAN interfaces on ISRs have the cellular provider’s Packet Data Network (PDN) gateway (P-GW) as an IP-layer next-hop neighbor. Thus any meaningful routing protocol to route private IP information behind the ISR in an enterprise network will require configuration of a GRE tunnel over the 4G-LTE to form routing adjacencies between two CPE routers. Is voice supported on the Cisco 4G-LTE solution? The Cisco 4G-LTE solution does not support circuit-switched voice such as for a cell phone. Cisco IOS Software has rich VoIP features, and you can use the 4G-LTE as a WAN interface to transport VoIP calls over a data connection. How many VoIP calls does the Cisco 4G-LTE solution support? According to the service provider guidelines for the average bandwidth per user, Cisco 4G-LTE should support between 5 and 15 VoIP calls. The number of VoIP calls supported on the 4G-LTE connection depends on how much bandwidth is available at any time. The bandwidth is affected by many factors including the distance from the cell tower, received signal strength indicator (RSSI), signal-to-noise ratio (SNR), signal to interference noise ratio (SINR), local radio interferences, surroundings, and the number of users trying to access the same cell tower. Cisco IOS Software has rich QoS features to give preferential treatment to voice packets ahead of data packets to improve the user experience during the call. Note: Any performance guidance is a best effort. Can I configure advanced Cisco IOS Software features such as VPN and dynamic routing over the Cisco 4G-LTE interface? All relevant advanced features in Cisco IOS Software are supported on Cisco 4G-LTE, including VPNs, dynamic routing, tunneling, Mobile IP, and many more. Please refer to the 4G-LTE WAN deployment guide at https://www.cisco.com/c/dam/en/us/td/docs/routers/access/interfaces/software/deployment/guide/c07-731484-00-ngewan.pdf. Q. “Can I get guaranteed bandwidth over my 4G-LTE connection? Is QoS supported over 4G-LTE?” Cisco 4G-LTE is hardware-ready to support LTE QoS. Software support will be added in conjunction with service provider infrastructure support for end-to-end LTE QoS. The 3GPP standards have ratified end-to-end QoS over the 4G-LTE network (both the backhaul and radio network segments). As part of the standards, the cellular service provider will be able to guarantee certain bandwidth and QoS over the radio to individual users based on the subscription. Many service providers are currently working to implement the QoS standards and are debating the best possible way to make it available to their customers. Cisco will provide software updates to cover service provider-specific LTE QoS implementation. With regard to Cisco IOS Software QoS support, Cisco IOS Software has Hierarchical QoS (HQoS) features that you can use to give preferential treatment to packets going out of the 4G-LTE interface. Although this QoS is not an end-to-end QoS, it helps improve the user experience by giving preferential treatment to business-critical applications over noncritical ones in a branch-office environment. What management capabilities are available for the Cisco 4G LTE WWAN NIMs and EHWICs? You can configure and monitor the Cisco 4G LTE WWAN NIMs and EHWICs from the router command-line interface (CLI) using Cisco IOS Software commands. You can use all of the router management techniques such as remote Telnet, SSH, SNMP MIBs, and others to manage the 4G-LTE connection. For remote management capabilities, the interface MIB provides traps for interface up-and-down events. The MIBs are specifically developed to provide 4G cellular parameters such as signal strength, type of service, and many more. Supplemental MIBs will be introduced to cover the new capabilities as the Cisco 4G-LTE solution evolves. For details about the MIB parameters, please refer to the 4G-LTE software installation guide at https://www.cisco.com/c/en/us/td/docs/routers/access/interfaces/software/feature/guide/EHWIC-4G-LTESW.html#wp1234550. The cellular MIBs provide information about all cellular modes including 4G, 3G, and 2G. “Can I use Cisco Wide Area Application Services (WAAS) Express over Cisco 4G-LTE connections?” No, WAAS Express is only supported on serial and Gigabit Ethernet connections. The full WAAS solution, however, is supported on Cisco 4G-LTE 2.0 solutions. Can I use the GPS clock from the 4G-LTE interface to set the router clock? No. The router clock cannot be set with the GPS time-stamp information. Can I use multiple 4G-LTE NIMs or EHWICs in a modular platform? Yes, you can use 2 or more 4G-LTE NIMs or EHWICs in one ISR 4000 or ISR G2 platform, respectively. We support maximum NIM or EHWIC slot density on the given platform; for example, 2 on the Cisco 1900 Series and 4 on the Cisco 2900 or 3900 platforms. On the ISR 4000 series, you can run 2 NIMs on the 4321 and 4331 model or 3 NIMs on the 4351, 4431, and 4451 models. You can use the multiple NIMs or EHWICs as multiple independent WAN interfaces per service provider in a given region. Cisco IOS Software has rich routing features that allow you to do load balancing, standby, or other combinations across the multiple WAN interfaces. For details about platform density, please refer to https://www.cisco.com/en/US/products/ps10536/prod_series_comparison.html. Do multiple NIM/EHWICs interfere with each other? Do I need to choose specific NIM/EHWIC slots? In a multiple-NIM/EHWIC scenario, the NIMs and EHWICs are independent of each other and can be placed in any slot. If they are for the same service provider, they will share the radio, and keeping the antennas as far apart as possible is recommended. If they connect to two different service providers, they operate on different radio frequencies and will not interfere with each other, so there are no limitations on relative antenna placements. Can I bond 2 4G-LTE NIMs and EHWICs like channel bonding for more throughput? No. Because you’re running a logical Layer 3 connection, bonding at the Radio Link Control (RLC) level is not possible. The 4G-LTE connection to the network is considered a Layer 3 point-to-point connection from the cellular modem to the Packet Data Network (PDN) gateway (P-GW) in the cellular network. However, Cisco IOS Software contains rich features that enable bandwidth aggregation at layer 3 using load-balancing techniques such as Performance Routing (PfR). Can I use multiple NIMs and EHWICs to get more throughput? Yes, with certain limitations. The NIMs and EHWICs connecting to the same service provider share the bandwidth over the air because they are served by the same cell tower. This setup may limit the amount of air time each card gets. If the NIMs and EHWICs are from two different service providers, the throughput will be better because the NIMs and EHWICs use two different cell towers. The bandwidth aggregation should be done at Layer 3. Cisco IOS Software provides various load-balancing methods across two or more WAN interfaces. Do I need a special license to use the 4G-LTE on a Cisco ISR? The 4G-LTE NIMs/EHWIC cellular interfaces work with the IP-BASE license on Cisco ISR G2 modular platforms. For advanced features in conjunction with the 4G-LTE-based cellular interface, follow the Cisco IOS Software licensing guideline for advanced Cisco IOS Software features such as security (VPNs), Mobile IP, and voice over IP (VoIP). Is Verizon Mobile Private Network (MPN) service for 4G-LTE supported on the ISR 4000? Verizon MPN services use Cisco Network Mobility with Mobile IP (NeMo with MIP). The ISR 4000 router is based on Cisco IOS XE Software and does not support NeMo. The alternative is to use the Proxy Mobile IP (PMIP) protocol, the next generation of NeMo with MIP. It enables support for IPv6. Do I need a special license for Verizon Mobile Private Network (MPN) service for 4G-LTE on the ISR G2? Verizon MPN services’ use of the Mobile IP protocol requires a DATA license to be installed on the modular ISR G2. Similarly, if VPNs are part of the deployment, the SEC-K9 license on modular platforms must be installed. The fixed platforms come with an advance IPservices license by default and do not need any other license. Device# cellular 0/0/0 lte technology ? User Equipment (such as routers, cell-phones) can only set the preference but the Service Provider network can deny it based on their network and service settings. Can I use the 4G-LTE interface as backup to the primary WAN interface? Yes, Cisco IOS Software has a rich feature set to achieve the transition based on customer requirements such as dialer-watch, object tracking, etc. Can I use the 4G-LTE as a primary interface? Yes. As per the service provider guidelines, 4G-LTE offers speeds in the range of 5 to 12 Mbps in the downlink direction and 2 to 5 Mbps in the uplink direction. With such high speeds, it certainly can be a primary WAN connection for many deployments. “When might I use 4G-LTE as a primary WAN? And what are some applications for Cisco 4G LTE WWAN NIMs and EHWICs?” Cisco 4G-LTE offers a secure, simplified, and cost-effective WAN alternative to terrestrial broadband services (cable, DSL, Frame Relay, T1) in places where they are not available or are expensive. For businesses requiring rapid setup or temporary connectivity, Cisco 4G-LTE enables you to bring up a new site quickly and cost-effectively. Using the integrated services available on Cisco ISR routers, Cisco 4G LTE WWAN NIMs and EHWICs can provide instant and mobile communications during disasters and service outages. Cisco 4G-LTE is particularly suitable for applications that need high data bandwidth, low latency, and high security requirements such as interactive business video and telepresence. They are also ideal for transactional applications, such as bank ATMs and gas station kiosks, and for telemetry sites. How many users does the Cisco 4G-LTE interface support? You can refer to the ISR G2 and ISR 4000 platform guidelines for a guide to the number of users supported. In enterprise deployments, the number of users depends on the type of applications used and the amount of bandwidth and latency those applications require. It also depends on the number and type of networking features being used. In addition, the characteristics of the 4G-LTE interface such as variable bandwidth, average bandwidth, and shared nature of radio network should be factored in.